A website is the representation of a brand on the internet. Hence, an active site is extremely crucial for any modern business to be successful. However, to create an impactful website and extract maximum utility, you must ensure that it is user-friendly, engaging and technically efficient. User engagement is the essential part of a site as without visitors your site is just like an abandoned island. Hence, to attract visitors, the look and styling of your site are of utmost importance. The visual appearance of a website is determined by its theme. Therefore, selecting the right WordPress theme for your WordPress site is vital. Moreover, even if your site contains exclusive content, it cannot retain customers unless it is easy to browse and attractive to use. However, getting your desired theme is not an easy task, especially for users who are setting up a site for the first time. Do not be worried though as there are beautiful WordPress theme stores equipped with astonishing website themes that you can choose from. To help you find the perfect theme for your WordPress site, we have compiled a list of 20+ Best WordPress Theme Stores on the internet. Take a look. AppThemes is currently considered to be the best WordPress theme store in the market. It supports more than 48,000 happy customers and offers personalized WordPress themes for blogs, business websites, magazines, and a lot more. They are best known for incredible designing features and enhanced user experience. Acting as a full-fledged theme centric platform, it caters to niche sites like coupons classifieds, job portals, blogs and business directories. With personalization, these themes are highly customizable to match your particular brand colors, custom logo, and layouts. Not only this but they also support a marketplace with approximately 300 WordPress plugins and themes from 39 sellers. AppThemes offers stable pricing of $69 for every self-crafted theme on its site. However, for a complete package consisting of all the themes it charges you just $199. Elegantthemes.com is one of the most popular and reliable WordPress theme stores. It supports 87 beautiful themes used by a community of approximately 500,591 members. It has established its presence in the market with incredible themes like Divi, Bloom, and Monarch since its inception in 2008. Each of their themes gives built in Drag and Drop visual builder Divi Builder that can be used to customize the theme with some great styling options easily. 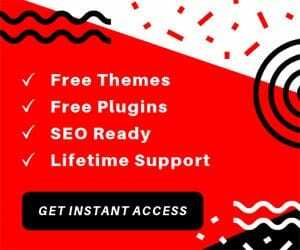 Elegant Themes offers its annual subscription which guarantees access to all websites and plugins for a year at a price of $89 per year and its lifetime membership at just $249. Enginethemes.com is one of the most innovative theme shops currently in the WordPress market. They have a wide range of purpose-specific sites that enable you to create compelling visuals on your site for different purposes. Whether it is for a simple purpose like blogging or photography or more multiple purposes like directories, job portals or corporates, you can get everything with a simple one-click install functionality. The best part about all the eleven themes available on Enginethemes.com is their suitability for different businesses with field-specific built-in functionalities. Not only this but it also offers a page builder and even front-end editing. Engine Themes provide three paid packages for its awesome themes and services. The Power Package is available for $199 per year. All in One Package that contains all the themes along with additional features like ForumEngine and QAEngine is available at $299. The Mega Package that includes everything is available for $689 and supports all JE, CE, DE, FrE extensions. CSSIgniter is one of the most accessible WP theme stores to work with due to its simple user interface and easy to use functionalities. With a user base of more than 80,000 satisfied users, Cssigniter.com comes with a fantastic streamlined setup process that allows you to work in a planned way. What’s better is that it also comes preloaded with dummy content, the quantity of which can be controlled by you according to your needs. Cssigniter offers a unique collection of 81 premium themes that are highly customizable and can be easily personalized to meets your needs. It offers four simple pricing options with no hidden fees. The Single Theme plan is available for just $49. The Standard Club plan which offers you access to all the themes is available at $69. The Developer Club plan which is their most popular plan offers you access to everything on their site for a year, and if you need all these features for a lifetime, you can opt for the Lifetime Club at $249. Hermesthemes is a niche theme store for WordPress sites related to hotels, resorts, and B & B. They offer highly customizable hotel based themes with built-in templates to display your rooms, properties, and nearby attractions in an attractive way to your users. The best thing about all the themes on Hermesthemes is that they are compatible with multilingual websites. Trusted by hundreds of hotel owners and properties around the world, it offers 16 versatile themes that are ideal for a large variety of hospitality sectors ranging from small B&B to boutique hotels and upscale destination resorts. With a 30-day money back guarantee, they offer two paid packages. The first one is for a Single Property License and is ideal for individuals who want a website for their hotel. It will cost you $249 per year. The other is the Multiple Properties License and is ideal for web developers and design agencies looking to develop multiple sites. It will cost you $399 per year. MyThemeShop is undoubtedly one of the most trusted WordPress theme stores on the internet. With a user base of more than 417927 happy customers, it develops pro functionality themes with simple, user-friendly designs. The 121 themes available on MyThemeShop deliver the best front-end user experience and quick page and site loading speeds. Not only with the front-end features, but these themes are also equipped with powerful backend features including versatile options panels like importing dummy content for site development. Easy to work with and implement, all themes on MyThemeShop are user-friendly, highly customizable and reliably stable. Offering two paid plans that suit the budget and needs of WordPress users, it also offers a free plan for startups to get their site running without any budget restraints. The two paid plans comprise of an Extended Membership plan that has been specially designed for developers and agencies and is available for $9 per month. The other paid plan is ideal for individuals and is priced as a Single Product from $29 to $59 depending on the use. The Unique Selling Point of MojoMarketplace is that is it not only a premium WordPress theme shop, but also one of the largest online marketplaces for themes and plugins. Trusted by developers and designers alike, they support a great collection of themes that are filtered into categories and tags effectively. They also have a dedicated support forum where experts and theme developers provide online support to customers. Mojomarketplace.com has more than 1000 themes just for WordPress. This is a considerable number as most theme shops have less than 100 themes. These themes have been priced considering all types of clients. Their prices range from $39 to $69. 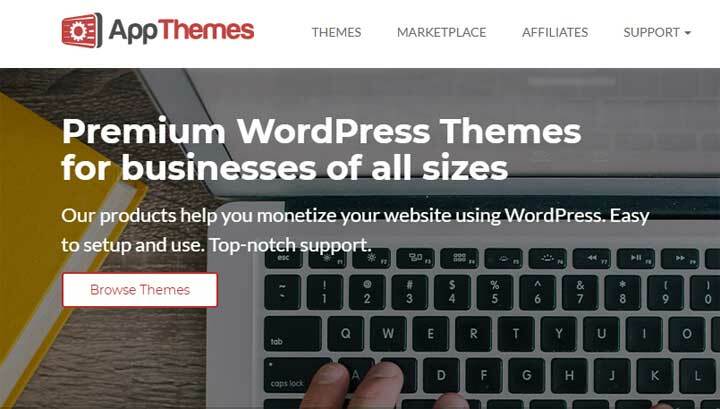 Organized Themes is one of the easiest to work with theme stores in the WordPress market. It has a simple user interface that allows you to design all kinds of site themes ranging from restaurants and business websites to churches and nonprofit organizations. What’s better is that all templates on Organized themes come with an easy drag and drop functionality and layouts that help you to build your landing pages using WordPress widgets. Not only this, all these elaborate themes are highly optimized for SEO and speed. Loaded with flexible customization options, all the 25 themes listed on Organized Themes have instant setups with 1-click demo installs. Organized Themes offer three paid packages to its users. These packages include, ‘Buy any theme’ package available from $15 to $55 depending on the functionality. The ‘All themes package’ is available at $65 and the lifetime access to this same package is available at just $100. It also offers ‘extra services’ like hosting at $17 to $42 per month and e-commerce shopping cart $28 to $61 per month. PremiumPress.com is an ideal WordPress theme shop for most of the businesses around the globe due to its highly customizable themes and neat categorization. Constantly updating and improving their themes, they offer themes on a large variety of sectors ranging from Directory Themes to and Real Estate and Auction Themes. Easy to work with and use, they also offer hosting plans for your WordPress sites. With an option for everyone, PremiumPress employs a simple pricing model for everyone. Their friendly technical team also inspects your hosting account if you want to make sure that WordPress is setup correctly on your site. They also help to install and setup your PremiumPress Theme at just $15. For themes, there are two paid packages. The Single Theme package is available at $79, and the All Themes Package is available at $249. Sitemile is known for its well written open code which enables them to produce highly reliable and cutting edge WordPress themes and apps. They offer ready-made solutions for all types of businesses ranging from hotels to corporates. Equipped with innovative solutions like auction and classified ad systems, e-commerce, freelancer, micro jobs and rental booking systems, they do not need additional plugin installs to transform your site to your needs. SiteMile offers over 12 elaborate themes in four paid packages through the SiteMile Membership Club. The Basic Starter Package is available at $199, and the Professional Starter Package is available at $279. The Basic Unlimited Package is available at $379, and the Professional Unlimited Package is available at $479. All these are one time fees and do not include any hidden charges. StudioPress.com is a unique WordPress theme store that provides personally hosted WordPress sites along with many stunning themes. Technically proficient, it was created by the same design team who developed the Genesis framework responsible for more than 500,000 sites on the internet. With a user base of more than 210,000 users for 64 themes, StudioPress.com takes care of everything from theme selection to implementation. One of the most scalable options, StudioPress guarantees highly customizable themes with a clean design and powerful security. StudioPress offers three fixed plans to its users. The Startup plan is available for $35 per month, the Growth Plan is for $115 per month, and the Scale plan is for $290 per month. It also offers a custom plan which can be personalized according to the user’s need. Moreover, if you take up the WP Engine plan for hosting, it provides the Genesis Framework and 35 StudioPress Themes for free. ThemeForest is considered to be the world’s most popular WordPress theme shop. It is also the second-best performing WordPress marketplace after CodeCanyon. Connecting theme developers with buyers, it is a part of the powerful Envato Markets. ThemeForest supports an impressive 11,000 versatile WordPress themes and has a wider price range than any themes marketplace on the internet. Selecting the perfect theme may become confusing with such a large number. Hence, to enable you to select a better theme, Theme Forest supports a useful search function that allows you to find themes based on your expertise, or using keywords. Highly trusted and supported by a dedicated team of theme developers, the themes on ThemeForest are priced between $13 and $199 for every year. 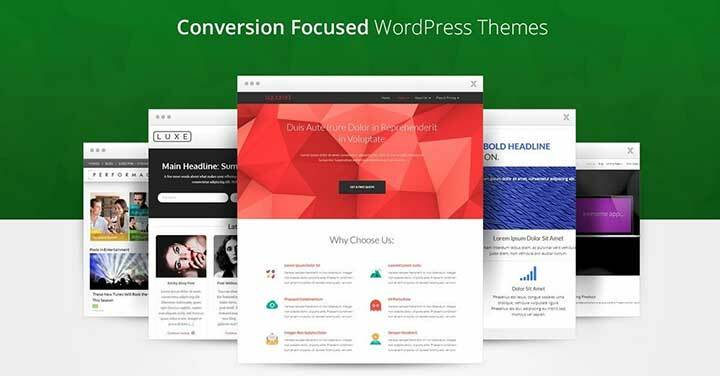 ThriveThemes is one of the premier WordPress theme stores that I have personally started recommending recently. All their themes are conversion focused. With just one Thrive membership you get access to all its tools including architect, optimizer, leads, ultimatum, quiz builder, etc. If you are looking to get the best value for your money, then Teslathemes.com is the perfect place for you. Equipped with more than 65 versatile themes and serving over more than 28708 clients, Tesla Themes supports high-quality premium theme designs with a clean design and extended functionalities. Teslathemes offers three attractive paid plans for all its users. The Single Theme is available for $58. This is the most expensive plan provided by them if we compare it with the services offered. Their best and most popular All Themes plan is available just for $99 and offers you the best utility according to its low price. The same features can also be availed with lifetime capabilities at only $299. Themify.me is one of the best drag-and-drop WordPress theme stores in the market. All the themes are based on this functionality and are highly customizable to fit the needs of individuals and businesses alike. Equipped with a simple user interface and friendly features, it has a client userbase of more than 83,733 satisfied users. It supports more than 40 themes divided under appropriate sections including Blog Themes, Corporate Themes, E-commerce Themes and Magazine Themes to name a few. With a 30-Day Refund policy, Themify offers three paid plans for its users. The Single Theme plan is available at $49. The Master Club plan which includes a total of 42 Themes with Photoshop Files, 12 Plugins, 24 Builder add-ons, and 5 PTB addons is available at $89 and the same features available in the Life-time plan will cost you $249. From simple single-purpose themes to powerful multi-purpose themes, ThemeFuse.com is one of the most flexible theme shops for WordPress on the internet. Supporting a user base of more than 20,000 customers engaged with more than 50 themes, there are themes for all purposes ranging from restaurants and magazines to music and corporates. Recently, it released one of its most popular multi-purpose theme called Core, which includes a built-in visual page builder and 20 demo templates. Moreover, all the customization options can be availed merely at the click of a button. Themefuse.com offers three paid packages that fit according to the ‘pocket size’ of different customers. The package names are ‘Personal,’ ‘Developer’ and ‘Lifetime’ and are available at $49, $99 and $199 respectively. It also offers a free package named ‘Hosted’ that offers a free theme and installation. If you are looking for elaborately designed themes with high coding standards, Themeisle is the right place to get the perfect theme for your WordPress site. However, this does not mean that it does not cater to small businesses or individuals. Instead, it is ideal for users of all types. Supporting a community of over 471,039 users, themeisle.com has more than 40 themes divided under convenient sections like medical, blog, business, and e-commerce. Themeisle offers three paid packages to its customers for effective theme usage. The one that suits individuals is named “Essential” and contains essential plugins like Nivo Slider PRO and Intergeo Maps PRO. It is available at $89. The “Business” plan is for companies that level-up and contains additional plugins like Visualizer: Chart and Graphs PRO and WP Product Review PRO. It is available at $129. The “VIP” plan is ideal for multiple websites and contains all the features of all packages and more additional features like Developer License and Priority Support. It is available at $199. Templatic.com powers more than hundreds of WordPress sites with incredible themes and useful plugins. Offering more than 90 premium WordPress themes, Templatic.com is known for the variety of themes and its dedicated user support. It has versatile themes ranging from event management portals and responsive business directory themes to travel agencies and tourism business themes. Highly customizable and enterprising, their themes are ideal for online booking and e-commerce businesses. 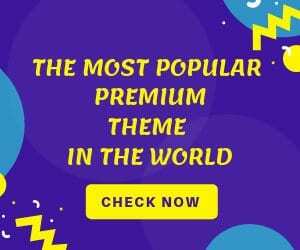 Templatic.com is equipped with a “Premium Themes Club” that helps you to access all their themes, child themes and plugins effortlessly at the cost of just $299 for the first month and then $19 for each consecutive month. Theme Junkie is ideal for sites that need minimalist designing concepts with multi-purpose functionality. With over more than 55 versatile themes, it successfully supports a user base of more than 35,000 users. The best thing about Theme Junkie is that all its themes come with a unique range of grids and layouts and offer dummy content in a single click. Theme Junkie offers the lowest prices in the market for all the 55 themes. It provides them under two special packages. The first package named “All Themes” costs $34 and is valid for one year. The second package named “Lifetime” costs $69 and is valid for a lifetime. Used by many established brands like UNICEF, Bloomberg, and Groupon, Wpzoom is arguably the best theme stores for WordPress when it comes to creating high-quality professional websites. Equipped with a streamlined setup process and a dedicated support team, it has themes that are ideal for users of all experience levels. Easy to use and available with one-click demo content installation, if you need a high-quality business site with expertly-crafted themes to meet your needs, then WPzoom is the answer. WPzoom serves more than 50,000 customers around the world with a collection of around 42 elaborate themes. WpZoom themes offer their themes in two “All Theme Packages.” The basic package is available at $199, and the Pro version of the same package that includes PSD Photoshop Files is available at $249. WPCasa is a flexible WordPress theme shop that acts as a framework to create professional real estate websites and manage property listings. With powerful themes that let you do an incredible listing search, employ property page templates, agent management and easy to use customization options. They offer multiple theme packages that range from $64 to $90 and include paid add-ons. They also offer a few free themes to explore and use for your WordPress site. Any other WordPress Theme Stores? All the exclusive WordPress theme stores mentioned above offer highly customizable designs that are pleasing to the eye. However, you need to remember that simplicity is the best design, and the functionality you need is the prime factor. This is because even though a winning design must always be your top priority, but there are many other things to consider as well before you buy any theme. Beware of words like setup simplicity, built-in features, code quality, site speed, support quality, SEO and third-party plugin integrations to select the perfect theme. The next thing you need to consider is the price. Do not fall for offers where they provide you with more themes than one at discounted rates if you need only one. This way you will save more money by opting for the individual license rather than waste money on a thing you will not use at all. In the end, we would recommend you to extensively test out the demos of all the themes before buying them. May you get the perfect theme that you desired.